Web application security is one major element in web app development that that often gets overlooked. It’s understandable. Between code development, app management, and visual design, web application security risks are often overlooked or not properly focused on. Still, web application security how-to needs to be a major priority if you plan on going commercial with your app. Luckily, there are a lot of ways to improve web app security with ease. We found eleven ways that will help you improve your web app security. What better way to get familiar with your own website’s security risks than to find them yourself and with the help of a professional? This is one of web application security best practices to stay on top of everything that is going on on your site. By understanding the techniques what attackers may use on your web app, you can effectively protect the entry points. If you plan to do it yourself, it is important to make sure you don’t break anything with automated scans. Also, there can be issues when your hosting can ban your IP when attacking your site. Of course, any testing should be done in an isolated environment. Check out easily if your web application is vulnerable. Hackers will eventually find these vulnerabilities. Beat them to it. If you have a relatively small team or work in app development alone, you’re going to need to brush up on security tactics. You’re already reading this, so you’re definitely doing the right thing already! Still, explore different reputable web application security blogs to learn more as the industry and app technology changes. Hackers bank on being one step ahead of you and your team. The best way to combat vulnerabilities is to be on top of the basics as well as new insecurities that pop up through time. 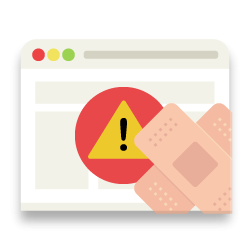 In the event a security breach or malware infection takes place and you need to restore your website, it would be catastrophic to not have an updated version of your website stored. When it’s time to go live again, you’ll be glad you had it tucked away. So back your data up as regularly as possible. PS! WebARX has a backup functionality coming in Q2 in 2019. It’s worth noting that a majority of host providers will provide backups from their servers in case an event like this happens. Security checks and scans should be done on a regular basis for staying on top of web app security. It would be wise to perform security scans on your websites at least once a week. You should also perform scans after each and every change you make to your application. It’s worth noting that security scanners, even the very good ones, will not be able to detect everything. Scanners are either heuristic or pattern based and malware is always engineered to be invisible from scanners. Some scanners find malware better, some struggle with false positives and many just don’t work at all. You should still learn about security flaws and vulnerabilities on your own. This is very wise. It’s very difficult to stay on top of web application security on your own. While all of our tips thus far are certainly helpful, you may find yourself spread thin trying to keep up with new vulnerabilities. 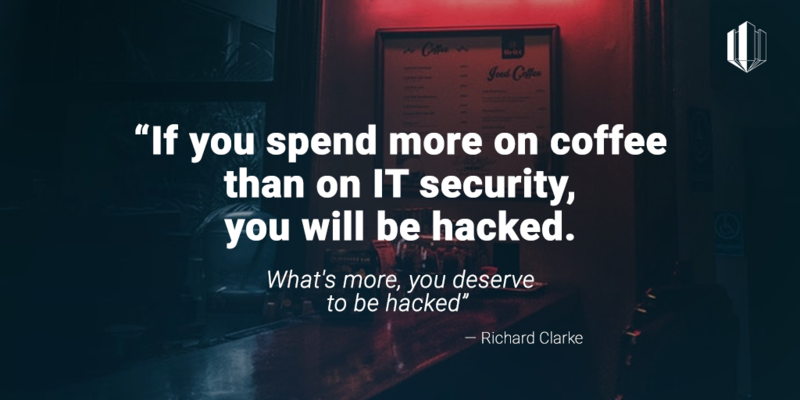 A quote from Richard Clarke (former National Coordinator for Security, Infrastructure Protection and Counter-terrorism for the United States). A security expert or security service firm can perform scans, security audits, and monitor your web app for new and dangerous vulnerabilities in your website. Just make sure you do some heavy research before investing in any particular company or freelance specialist. Like we said earlier, too many developers think of security as an afterthought. In reality, it should be part of the development process from the very early stages of development. 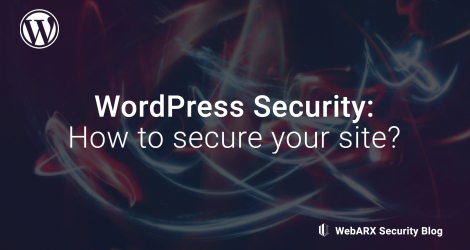 Read more about how security processes should be implemented in WordPress development. We get it. You’re focusing on making sure those features are user-friendly. Maybe you don’t think you have the time or resources to invest in web application security. Still, it’s a big mistake. Security should be something that is being thought of before the web app is available for the public. It’s so important to keep all of the platforms and scripts you have in your project up to date. Not doing so is a huge risk for your company. Hackers are keeping a close eye on security flaws and looking for possible exploits daily. These can be in popular web software and will aggressively target them once found. Critical vulnerabilities in WordPress plugins. Keep note of each and every plugin you have and updates whenever they available. It takes time, but this is the barebones basic step any developer should take first when tying to improve their app security. WebARX is a great tool to for protection and monitoring, especially for developers. Why developers? Because with WebARX you can secure your entire client portfolio – protect as many sites you like. So you can protect your web apps, save time and money, and help stand out in competition (it’s a good practise to add ‘Protected by WebARX’ to to your site). You can use WebARX on all PHP based web applications and the prices are quite attractive as well. If you don’t have the time to manage your web application security completely on your own, WebARX is a fantastic option to look into. You can try the 14-day free trial here. Nobody likes passwords and nobody likes to generate new passwords. That’s the reason we use password management tools. Life just makes so much more sense after starting to use one. Firstly – you won’t remember every password you have. A very bad practice is to use one password in more than one account. To use a password is bad anyways – but we’ll go there later. With password management tools you can easily access all your passwords from one place with one master key. Secondly – use passphrases or generate a random key with your password management program. It’s important that all your passwords are unique. A good password manager will randomly generate your passwords for you, and store them safely. It doesn’t matter what password manager you use, as long as you use one. We recommend LastPass and KeePass – check them out. KeePass is a bit geekier, but LastPass is widely used and has good UI. Another one is Dashlane if you want a third option and are not using Linux. It’s your choice. Thirdly – the master key. Instead of using a password, use a passphrase, which is much longer in length. Use some numbers and upper and lowercase letters. And to make it clear – by passphrase you should consider generating a short sentence, but make sure, it’s something you’ll remember. Two-factor authentication (2FA), also called multiple-factor or multiple-step verification, is an authentication mechanism to double check that your identity is legitimate. It’s something that will keep your accounts even more secured and offer you an extra layer of protection, besides passwords. It’s hard for cybercriminals to get the second authentication factor. This will drastically reduce their chances to succeed. Here you can find some mobile apps that you can use for two-factor authentication: Google Authenticator (available for Android, iOS, Blackberry). Authy (for Android, iOS, but also available as a desktop app and browser extension). Microsoft Authenticator (Windows Phone 7). Using SSL (or even better TLS) encryption should be a requirement and priority. HTTPS can properly protect vulnerable and exploitable information like social security numbers, credit and debit card numbers, and login information for team members and users alike. With HTTPS, information that is put into a web app is encrypted so that it’s essentially a useless endeavour for hackers to try and intercept the information. Read more about HTTPS certificate here: Why HTTPS is important? Plus, a lack of HTTPS certificate is often flagged by browsers like Chrome as insecure, thus deterring a lot of potential users. HTTPS protects private data, plain and simple. Use it! Web application security really starts at the host. Any web developer worth their salt knows that a secure web hosting company with an attractive authentic reputation should be used for hosting any web application. A good way to tell if a hosting company is decent is to check the reviews of the company from multiple sites that are not linked to the hosting company themselves. 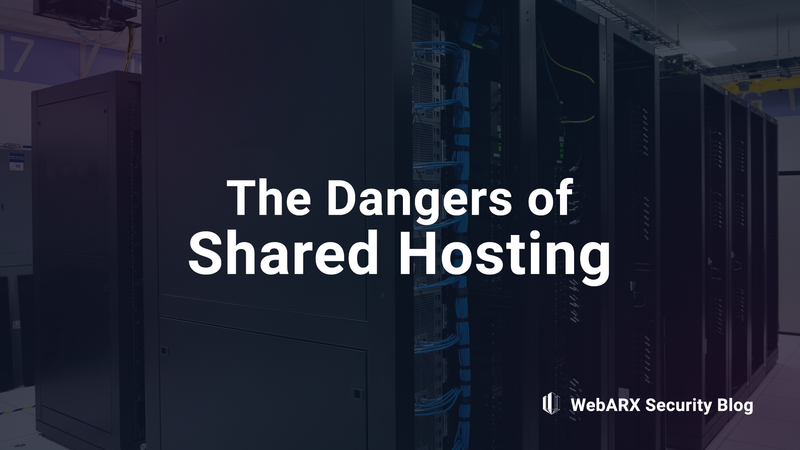 Do you know the dangers about shared hosting? Take note of their product pages and blog if available. Are they actively talking about new threats to web application security? Are they frequently updating their platform to improve security? Is their technical support good? Don’t be afraid to spend a good amount of time researching hosts for your web app. It’s surprising how many options are out there for improving web application security. Our web application security checklist is a great place to start. Know of another great way to improve web application security or a few tips we didn’t mention? Tell us about it in chat.